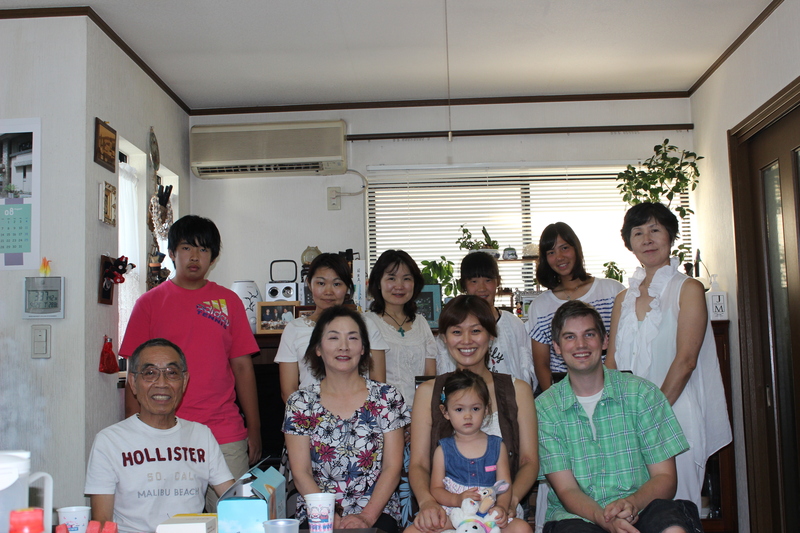 Today one of our Homestay participants hosted a lunch for the whole group. As the seven Japanese are a mix of ages, this was a great time to build unity among the group. Miho shared from Phil. 2:3-5 about how we need to care for others, not just thinking about ourselves on this trip. She also explained how amazing it is that we thought about the Language Cafe and this Homestay trip over three years ago, not knowing what may happen in the future. This is the first time for the Tsurumi Church, Highrock Church (Boston), and us pulling something like this off. Yet, God brought us together in His providence. Five of the participants had never been to church before meeting us. Now, they have all come to our service and heard Grant preach. Before Miho shared a devotion, our church gave each person their own Bible. Together, it was powerful seeing all of these people read the Bible for likely their first time. At the end, each person also shared a prayer request and prayed for the person on their right. For some, this was their first time to pray, which was evident. Though their prayers may have been short and awkward, it was a beautiful experience. We also felt like this helped bond us as a team who cares for each other. Each person seems so excited about their time in Boston, which is less than three weeks away. Most everything is in place. However, we are still praying and talking with people about hosting our Japanese guests. We are still in need of two or three families to help out. Please pray for these host families and for all that God will do through this upcoming experience. May we have fun as a group, but also experience Christian love and hospitality through this trip.